Niche line Bond no. 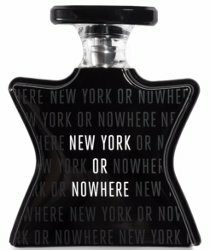 9 has launched New York or Nowhere, a new fragrance in collaboration with the Knowlita clothing brand. The notes include grapefruit, rose, black currant, oud, tonka bean, lily of the valley, hedione, cedar and musk. Bond no. 9 Knowlita New York or Nowhere is available now at Saks Fifth Avenue, $350 for 100 ml Eau de Parfum. That is some aspirational pricing!!! I think that’s Bond’s overall strategy these days. You win all the things today ??? ?